Did You Enjoy Caffeteria Lunches? Do not do a buffet at your wedding. I know you won’t listen to me, and you’ll still do a buffet, so many of you do it. Everyone gets a little confused when I say this because first of all their caterers almost always try to sell them on a buffet package up front – because it’s easy and what’s usually done at the venue, blah, blah, blah. Or my favorite excuse, but every wedding I’ve been to had a buffet. I’m sure you really enjoyed the experience, too. No! No guest in the history of ever has ever enjoyed a wedding buffet line. And if they say they have they are just being kind. Buffets are what you do at a conference ballroom luncheon, or in Vegas, or while your visiting grandma. Or in a hospital, or back in elementary school in the caffeteria. They are not classy, rarely awesome, and usually something you manage to avoid every other day of your life – so why do it at your very awesome, classy, expensive wedding? With that we’d like to discuss one of our favorite trends of 2019 – Family Style Dinners! There are several amazing restaurants in Portland. And hands down Ned Ludd is on the top five list of anyone who’s been to Ned Ludd from anywhere on the planet. So if you go with a group, do order the Family style meal and enjoy every second of your night. Two of my couples did family style last year. One was at Ned Ludd’s Elder Hall, the other was a pizza wedding at a private residence vineyard and farm, both were amazing! One of the many great pluses of serving family style meals, your guests get served a meal Instead of feeling like they’re back in school at lunch, hoping there will still be fish sticks left when you get to the front of the line. Think of Thanksgiving, people are chatting and passing and happy and not a single person is waiting in a line. There are options and choices still, but they’re all right here – in reach. Your table decor becomes more about being practical and sparse, which allows you to spend on fewer more beautiful pieces for your centerpieces. Family style may cost a little more per person than plated, guess what so do many buffets. Basically, if you are having a casual bbq style meal on a farm, go ahead do a buffet, because it fits the food being served. But do not convince yourself that you are having a fancy wedding with great food AND a buffet. If your wedding is in a ballroom, anything less than plated, is just strange. If your venue is a fine vineyard with an amazing offering of wines, why would you think a buffet is an acceptable meal? If your wedding is industrial and modern, why would you bring in a stuffy old fashioned buffet? When I think industrial and modern I think amazing farm to table local family-style experiences that will make your guests remember their meal. What about if your friends get hungry later? First there is the dessert table, because everyone is over serving a giant cake. That can be set up as a mini self serve station. In fact stations and food carts are an awesome alternative to a buffet. You can and should absolutely take advantage of a large venue by offering multiple genres of food in stations or at different carts as opposed to a traditional seated dinner. This option is most appropriate at farm/outdoor or very large open plan industrial venues. Small stations are an awesome addition to any wedding for cocktail hours, early daytime weddings, brunch weddings, and late reception snack options. If you’re having an after-party or meet up at a favorite bar or club after the reception, make sure you offer a snack (passed or at a small station) near the end of the reception. Plan on having enough for only about a third of your total guest list because not everyone will need or want a snack. And don’t worry about options and variety, some sliders or corn dogs and popcorn is good enough. One of the many reasons to love weddings in Portland – you can host a wedding in the city in an industrial building, ballroom, or hotel; close in at any of our farms or vineyards; out to the coast; in to the Gorge with its brilliant waterfalls and majestic greenery; or up Mount Hood for a classic rustic wedding. We’ve been terrible about blogging – sorry about that but we’re busy people planning weddings and meeting with newly engaged couples for the next big wedding season. Set a Budget FIRST – Don’t start looking at venues, fall in love with one, put a deposit down and then realize you absolutely can’t afford the wedding you wanted. How do you set a budget? Start by gathering the details of how much total money you have to spend on your wedding. The average is around $25,000 for 100 – 150 guests. While that might sound like a lot of money, the average new car costs $36,000, according to Forbes. I hope you plan to be married longer than you intend to drive your car. Your marriage is a worthwhile celebratory investment so if you can find the means to fund the wedding exactly as you want it, that is exactly what you should do. That said, averages mean nothing if your parents will be contributing $5,000 and you don’t have access to $20,000 or the ability to finance that much. 3. Be flexible with your date, or don’t – We get that some people absolutely must have their wedding date be 4 – 20 – 19 because you don’t ever want to forget your anniversary, or how you met. Cool, cool! But hey, your dream venue is booked that date and now you have looked at 20 venues you really like but they’re all booked. This is getting frustrating and overwhelming and you might have to get married in mom and dad’s backyard or elope on a hill somewhere – or compromise on the date. Everyone wants to get married in the summer warm months. Please do this if you want to get married on a farm or in the Gorge outside, but if you like industrial indoor venues, why? Get married in October, or November, or please have a beautiful holiday wedding. Everyone wants to get married when the kids are out of school – even though unless they are immediate family or you are having a dry wedding why the hell are you inviting kids? Let your friends enjoy a night off to have fun and celebrate! 4. Determine your wedding style – What does this even mean? Well if you want a tropical floral and decor design, and Pacific NW/Asian fusion cuisine, your ideal venue is fairly open with the right expert planner/designer and caterer, but if you want a black tie formal affair with lots of candles and staged lighting, and you want to get married in July at a farm venue that requires all of your vendors to be loaded and out by 10:00 pm, I have questions. It feels like a lot of couples are nervous to ask an expert for advice or pricing details, or basically just questions they’re afraid we’ll find silly. Don’t worry, we understand this day is a very big deal, not something you do every day, and most of us WANT to help you. If you’ve never priced wedding flowers, feel free to email me inspiration pictures, details about your wedding and questions about pricing. You can do that by email and I will happily take the time to give you realistic cost information for a design you like. If you have a set budget and want to know what you can do for that budget, I’m happy to tell you. By nature we can’t tell people without information how much their design will cost, because it depends on your date, flowers and colors and design style, so trust me we’re happy to answer your questions. Need a quote? Contact us now with inspiration pics, details of your wedding and bridal party, and we can help! There are some things you can do on or after your wedding to show your appreciation to friends, loved ones, and vendors who are taking part in your special day. You absolutely should thank your bridal party for being in your wedding. Many have invested a lot of time and money (especially if they are traveling) to be in your wedding. Something small (thought, not expense matters) a necklace to wear in the wedding, a pair of earrings, or matching robes are common gifts given as a thank you on your wedding day to your bridesmaids. A small item like cuff-links are a nice gift for your groomsmen. Special honored guests and attendants do not expect gifts, but you should make sure they have a corsage or boutonniere. Young bridal party members will not expect gifts but giving them something small or a framed picture with a thank you card after the wedding, and including their parents (if they are not already part of the bridal party) in the rehearsal dinner, is expected. It is traditional to give each other (bride and groom) a gift, but not all couples do this. These gifts do not need to hold any monetary value, it can be a special letter to be delivered before your make up is ready (just in case). Parents will often give something special or borrowed to their daughter or son on their wedding day, but don’t forget to show your appreciation to them in some special way. Again, this does not have to be a “gift” of monetary value, but a special thank you in any way you choose is always appreciated by your family. It’s a busy day, don’t forget this important moment of gratitude and reflection. Those special moments you have alone together before your ceremony will never be forgotten. Your guests do not expect nor require favors or gifts. In my experience, I’ve found that if you do give a favor, having them set at each place setting is ideal if they are a single item and add to your decor. If you leave them for people to take they may not notice or may forget on their way out. Edible favors are always a favorite, and less likely to go to waste. They can be simple and inexpensive. Many couples choose to do a candy table and gift bags. If your favors are items that would not add to your décor, having them set out before the end of your reception, near the exit, is ideal. Most of your vendors do not expect, nor require, any extra monetary thank you in the form of a tip. 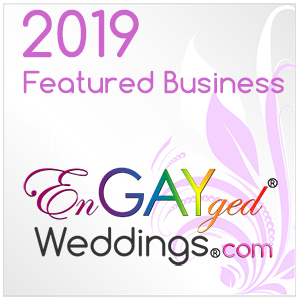 The wedding industry is made up of many small business owners, and larger businesses. Consider which type of business your vendor is when deciding if you should tip. Small business owners set their own prices and shouldn’t need an extra tip. Those who are employees of a vendor will greatly appreciate (and never expect) an extra tip. Your Pastor – Most clergy do not expect nor receive tips. A donation to your church or a gift or donation valuing approximately $100 to your Congregation, is a nice gesture. It is always expected you will invite your Pastor to the rehearsal dinner, and your reception. Your Decorator – does not require nor expect a tip. Your Florist – does not require nor expect a tip. Your Event Planner – does not require nor expect a tip. Your Baker – does not require nor expect a tip. Your Musicians, Band, and DJ – If your DJ is a business owner, they usually do not expect a tip. If you do tip a DJ 10-15% is customary. Bands and musicians do not typically get a percentage. If you are tipping your musicians, give them a flat amount of your choosing $20-$50 each is standard. Your Photographer – Does not expect nor require a tip when they are the business owner. If your photographer will have a second shooter, you may opt to give the second shooter a tip of $50-$100. It is not required. Do expect to offer a dinner to your photographer. They are there all day long. They do not require a seat at the table, but make sure you note to your caterer that you will have certain vendors who will be eating. Your makeup and hair professionals – Typically, people will always tip the same as you would in a salon (15-20%). Catering/Venue – This is a tricky one. Look at your contract. Does it include gratuity? Often you will find that gratuity is included in your final price. Most caterers and venues include gratuity in your bill. If you do not have gratuity included in your contract, and/or if it is not broken out by catering as a stand-alone line item to come up with a percentage (15-20%), then a flat fee per server of $20-$50 each is a fair tip. Chefs and bartenders typically if you are paying them a flat tip $50-$100 each is fair. Consider the number of hours of service. If it is just for a cocktail hour less than if it is a full dinner reception. When any of your servers, staff, delivery, or assistants for the wedding are unpaid volunteers consider giving each a gift as opposed to payment. If they are business owners donating their services and do not want payment beyond cost, a present valued in accordance with the above tip guide is a nice gesture. For all of your vendors who do not require nor expect a tip, remember they are mostly small business owners. Their good name, and your referrals and reviews are greatly appreciated and help them with their business! Review them after the wedding on websites like Wedding Wire, The Knot, Yelp, Facebook, or Google. In these modern times, your public thank you in the review section of these platforms is free to you, but holds value for them. Doing this at some point soon after the wedding is a wonderful thing to do for your vendors! English Ivy is a noxious weed, yet still many Portland area homes incorporate English Ivy in their landscaping. The reason it is considered a dangerous pest – the birds spread their seeds to our local urban forest, and those seedlings turn to vines that crawl up our deciduous trees. A bare tree in winter can quickly be covered in winding vines, making it impossible for spring leaves to bud and when left unchecked, choking the trees. Many local groups volunteer to help clean up our urban forests and keep our trees healthy, but sadly it is a seemingly never-ending problem. The only obvious solution – stop planting English Ivy as part of your property landscaping and remove any already established. Recently, we blogged about how you can use your wedding budget to do so much good in your community by choosing vendors like Brides for a Cause or venues that are also a charitable organization. Here’s something else you can do, choose English Ivy as greenery and filler for your wedding floral designs. You might be thinking, “wait, if I use Ivy aren’t I creating a market for a noxious weed?” No – because we aren’t suggesting you go out and buy English Ivy. You see, there are organizations is Portland, completely devoted to keeping our forests healthy and teaching regular people like us to be stewards of the forest. SOLVE is one such great organization. In the past, I’ve volunteered with SOLVE to go out in to our urban forest, learn about safe Ivy removal techniques, and with a group and an expert guide, helped to carefully remove all of the English Ivy from a large section of forest as a Saturday morning volunteer project. And the cool thing is ANYONE can do this. In fact, they encourage you to learn how to do this. So what I am suggesting is wedding couples, or bridal parties plan a day about 2 weeks before your wedding. Get your in town friends together to help you clean up the forest. Take the Ivy you clean up home with you in a nice big greens safe garbage bag with a handle. Bring all this Ivy home, clean it up (just rinse it off with a good strainer protecting your drain and capturing any dirt or greens litter). Cut the vines in to easy to store and work with pieces, I recommend no longer than a Meter. Stick one of the ends in fresh water vessels. I use large emptied and cleaned yogurt containers. And then leave them in a cool room of your house. These fresh cuts will last for weeks. The vines used in this photo shoot are still going strong and we collected them three weeks ago. If you are using a floral designer, like Vareus Events design services, just give your cuts over to your florist. You will save a lot of money on greenery and your environmentally conscious designer will be ecstatic to participate in this noble effort. Please be sure you talk to them first don’t spring it on them. If you are doing your own designs, you can wrap your vine pieces to twine using about 22 gauge floral wire up to two weeks prior to your event if you have a floral cooler for storage, or up to a week before your wedding if you at least have air conditioning and a cool room to store your prepared vines in. Never use bundled pieces on ropes or twine in pieces larger than 15-25 feet in length. They get too heavy, especially if you plan to add flowers to the greens pieces to decorate Chuppas, arches, chandeliers, mantles, or as table runners at the reception. These pieces easily connect together if you leave a little excess twine at the ends. So have we convinced you yet? If so here’s your next step, if you have a friend with English Ivy on their property and you can encourage them to let you help them remove it, AWESOME! We have English Ivy removal events throughout the year! Every Thursday in the summer there is an ivy removal event in Vancouver, WA. Every first and third Saturday and first Wednesday of the month all year there is an ivy removal event in Forest Park in NW Portland. There are additional, less regular ivy removal projects throughout the year that you can find on our online calendar at solveoregon.org. Ivy cuttings stay green for a while, but just how long I’m not sure! One thing to encourage people to recognize is that by removing native flowers from the landscape they are depriving bees, butterflies, and hummingbirds of food sources. I’d instead recommend brides go with greenery like ivy. The next majorly important step after your wedding or event is complete, please make sure you enlist your wedding planner, or a trusted friend or family member who appreciates your decision to make this environmentally friendly choice, to gather up all of the Ivy and take it home to throw in their curbside greens recycling bin. You should not dispose of English Ivy in a backyard compost area, it can sometimes reseed itself, but it is absolutely safe to put it in your curbside compost bin. If you have any questions, not answered in this blog post, please feel free to contact us. We are happy to give you free advice on using ivy in your wedding floral designs, any time!